Employee benefit schemes – make your money go further! I don’t know about you, but I feel like my monthly budget is being stretched further and further all the time. So, I’m always looking for ways to cut down on my regular expenses, and I’ve realised that employee benefit schemes have an awful lot to offer in this regard. 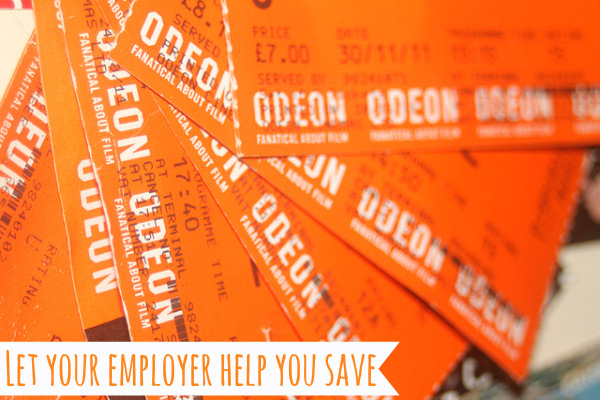 You can find discounted insurance policies, cheap cinema tickets and much more through these schemes. It’s also important to know that you should be looking further afield than just your employer. As an example, people in the civil service can join a members club that unlocks a huge range of discounts. So, while you might not receive concessions directly from your employer, your position means that by taking a few minutes to sign up to a club, you can save a lot of money. Now we’ve established how your employer can do your wallet a favour, let’s take a look at the exact areas you might be able to save on. I always think the key to making the most of your money is understanding exactly where it goes and how you can make it work more efficiently for you. That said, I used to find this quite tricky (finance can, after all, be quite a complicated topic!) and so to help get me started I used a financial planner. The good news is that it really helps you get on top of things like tax, savings and investments. The bad news is that independent financial advice can be costly – but if you book a consultation through a members club it can actually be completely free! Usually only the preliminary consultation will be complimentary, but you’d be surprised at just how useful one session can be. Even when I’m in full savings mode, I leave a little room in my monthly budget for the odd night out. Usually, this takes the form of a trip to the cinema, but anyone who has been lately will know it’s pretty expensive these days! And, you’ve guessed it, you can save a whole lot of cash through members clubs and employee benefits schemes. In fact, you can get a whopping 40 per cent discount off tickets for any day of the week, as well as avoiding booking and postage fees. Of course, you’ll need to be a bit organised and book your seats far enough in advance to make sure they arrive on time, but personally I’m willing to do a little forward planning if it means I can save that much! Insurance is something every home owner and motorist needs, and if you have both a car and a house to cover things can get pretty pricey very quickly. So, once again, you need to look at how exactly you can save. A common misconception is that choosing cheaper and less suitable policies is an effective way to cut costs, but since it also means you won’t have adequate protection should the worst happen, it’s definitely a false economy. Instead, take the time to hunt around for the best deals on premiums that are right for you. Then check out the various discounts available through members clubs and the like. For example, you could save ten per cent off your car insurance when you call to obtain a quote, alongside a 75 per cent no claims discount. Before children I would always hun around for the best deals on everything, these days I either can't be bothered or just don't have time. I must make more effort.